Microsoft is officially ending Windows Vista extended support as of April 11, 2017. Only 10 years ago, Microsoft first released Windows Vista to widespread disapproval, resulting in the operating system's unpopularity with users. Today’s the day Microsoft ends support for Windows Vista, the underwhelming successor to Windows XP that suffered from lower performance, lack of drivers and compatibility with various software, to name a few issues. As of April 11, Microsoft will now no longer provide security updates, non-security updates, free or paid assisted support options or online technical content updates. 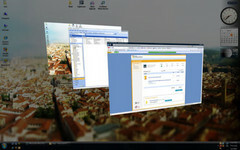 Windows Vista machines will still work after today, however, and users can still use them safely for tasks that don’t involve access to the internet. While Windows XP was still popular with 26 percent of the operating system market when Microsoft ended support for it in April 2014, there’s unlikely to be much backlash about Windows Vista no longer receiving support, as it accounts for a mere 0.72% of the desktop operating system market share. A large part of the reason Windows Vista never caught on is that Microsoft released an operating system to consumers in 2007 that didn’t run well with the hardware in most computers at the time, and Windows Vista quickly got a reputation for being inferior to the ever-reliable, if somewhat dated, Windows XP. Many of the changes in Windows Vista were later repackaged into Windows 7 in 2009 with no such outcry, as technology improved substantially in two years.